Breakfast offerings vary from store to store. 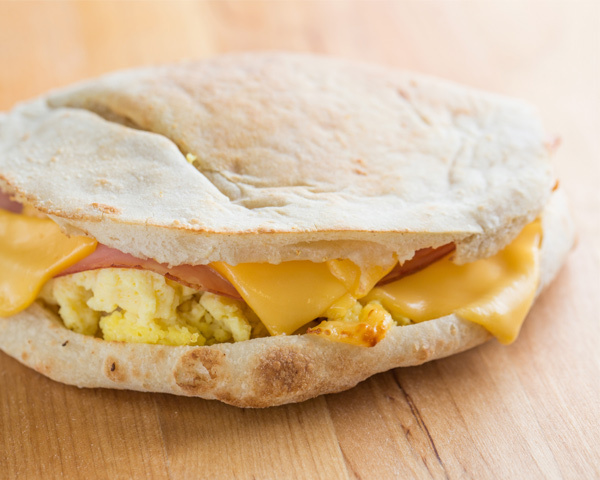 All serve breakfast pitas. A more petite size pita for the smaller appetite. 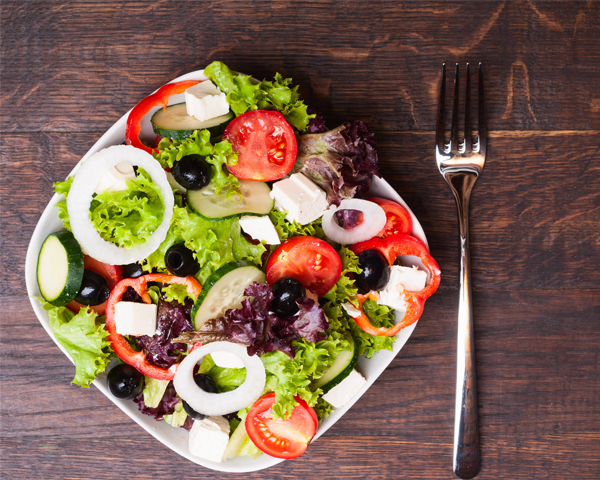 Enjoy one of our freshly made salads or signature pitas. Our homemade pita accompanies all of our salads and appetizer selections. All of the items below are homemade with our unique recipes. A combination of tabouli, hummus and white bean salad, all on a bed of mixed greens served with our Perfect Pita. A combination of hummus, red pepper hummus, white bean salad, shepherd salad with feta and two stuffed grape leaves served with our Perfect Pita. Fresh romaine lettuce generously topped with our marinated chicken breast with parmesan cheese sprinkled on top. Our own garlic croutons, a Perfect Pita and your choice of dressing served on the side. 3 romaine leaves, quarter pound of marinated chicken breast and (2) 2 oz. dips. Choose from hummus, tzatiki or shepherd salad. Check out our large selection of stuffed pitas. A generous portion of our unique hummus with lettuce, tomato, onions, green peppers and cucumbers sprinkled with feta cheese and topped with two slices of provolone, tucked inside our Perfect Pita. The pita is lightly toasted to melt the cheese. dressing, tucked inside our Perfect Pita. Add a bag of chips and beverage to any stuffed pita order for an additional price. Juicy, perfectly seasoned meat tucked inside our fresh Perfect Pita with lettuce, tomatoes, onions and our 2 oz. tzatziki on the side. Marinated sliced chicken breast served with lettuce, tomatoes and mayonnaise in our freshly baked Perfect Pita with 2 oz. shepherd salad (Mediterranean salsa) on the side. A combination of marinated sliced chicken breast and rib-eye steak in our Perfect Pita with lettuce, tomatoes, mayonnaise and seasoned onions. Marinated sliced chicken breast smoothered in provolone cheese in our Perfect Pita with lettuce, tomatoes and mayonnaise. A combination of cooked spinach, sauteed cooked onions, sliced chicken breast and feta cheese, smothered with two slices of provolone cheese in a Perfect Pita. Marinated sliced chicken breast, bacon and ham with lettuce, tomatoes and mayonnaise, all in our fresh Perfect Pita. Marinated rib-eye steak smothered in provolone cheese in our Perfect Pita, topped with lettuce, tomatoes, onions and our own homemade dressing. Crispy slices of bacon with lettuce, tomatoes and mayonnaise stuffed in our Perfect Pita. 4oz of grilled salmon in a pita topped with lettuce , tomato, onion and hummus. Salami, ham, provolone cheese, lettuce, tomatoes and onions in our Perfect Pita. Select oil and vinegar dressing or mayonnaise. Ham and provolone cheese with lettuce, tomatoes and mayonnaise. Our delicious fresh tuna salad topped with lettuce, tomatoes, onion and our own homemade dressing. 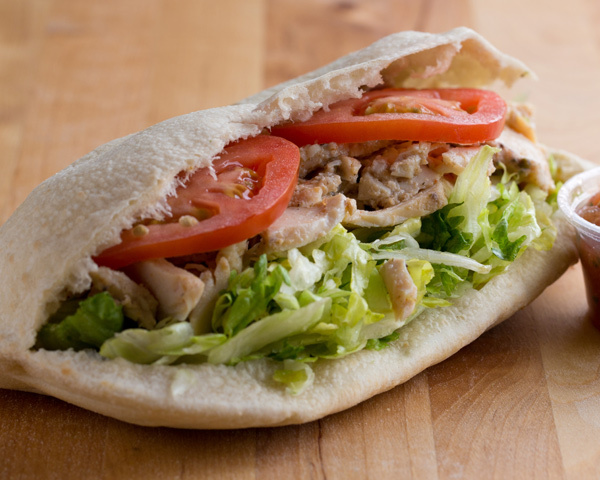 Smoked turkey breast sliced and stacked in our Perfect Pita topped with lettuce, tomatoes and mayonnaise. Marinated sliced breast of chicken sprinkled with parmesan cheese topped with romaine lettuce and our own creamy Caesar dressing, tucked inside our Perfect Pita. Lettuce, tomato, cucumber, green pepper, onion, feta and 2 slices of provolone cheese, topped with our Red Wine Vinaigrette dressing, tucked in a Perfect Pita and toasted. A generous portion of hummus in our Perfect Pita topped with lettuce, cucumbers and tomatoes. Seasoned vegetable patties made with chick peas perfectly fried and stuffed inside our Perfect Pita with lettuce, tomatoes, onions and 2 oz. tzatziki on the side. A combination of cooked spinach, sauteed cooked onions and feta cheese, smothered with two slices of provolone cheese in a Perfect Pita. Two slices of melted provolone tucked into our Perfect Pita. Choose from our own traditional red, white or hummus pizza. 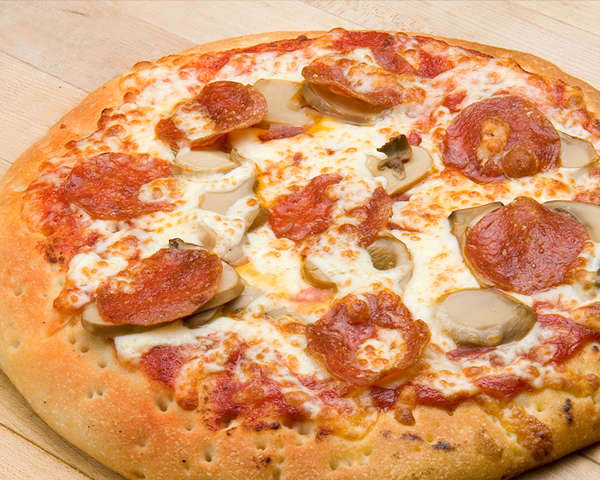 Our perfect 9” pizzas are made to order. 2 oz. Hummus in every pizza box. Please dip your crust. Choose from our own traditional red, white or hummus pizza. Did you know that our hummus is vegan and that our navy bean soup is vegan as well? When you call to place an order over the phone, please let the cashier know you are ordering from the Vegan Menu. 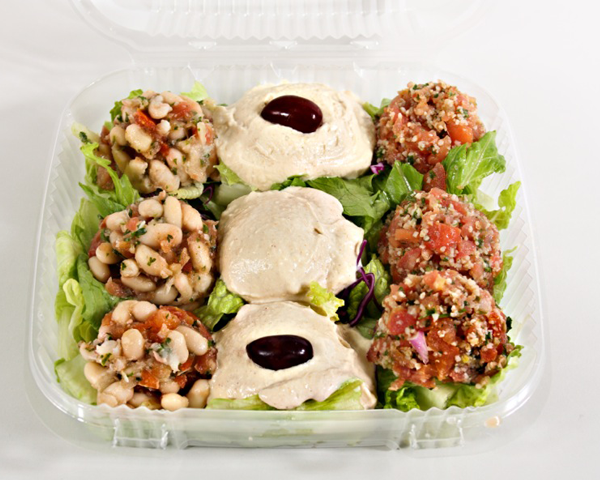 Also please order your Zorba Salad without cheese and your Falafel Pita with hummus instead of tzatziki. White beans, finely chopped tomatoes, onions and fresh parsley tossed in a vinaigrette. Finely chopped tomatoes, onions and fresh parsley tossed in a vinaigrette. Cracked wheat, finely chopped tomatoes, onions and fresh parsley tossed in a vinaigrette. (Please ask for hummus to replace the 2 oz. Tzatziki) Seasoned vegetable patties made with chick peas perfectly fried and stuffed inside our Perfect Pita with lettuce, tomatoes, onions and 2 oz. Tzatziki on the side.